Who is Theodore Us? 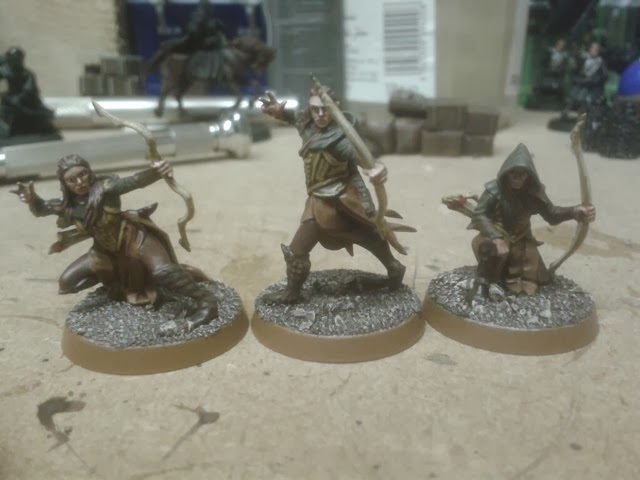 : Wood Elves finished + more! 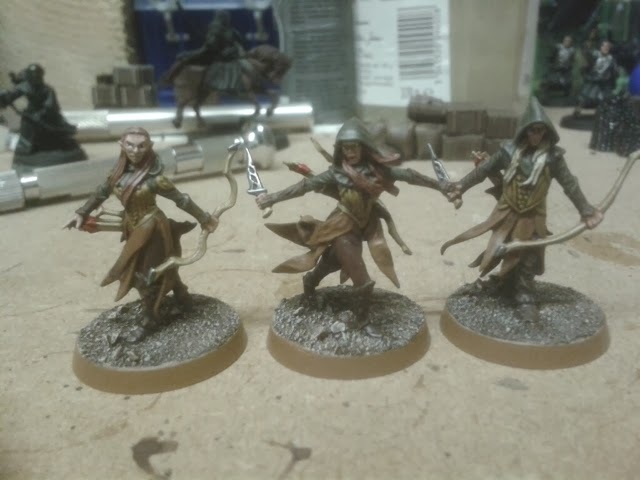 Well it's been a slog, but I've finally managed to finish the Rangers. 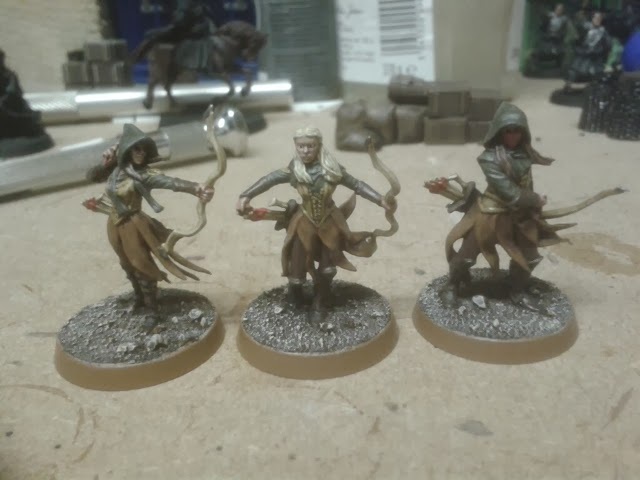 They still need static grass and some leaves adding to the bases, but they are essentially there. 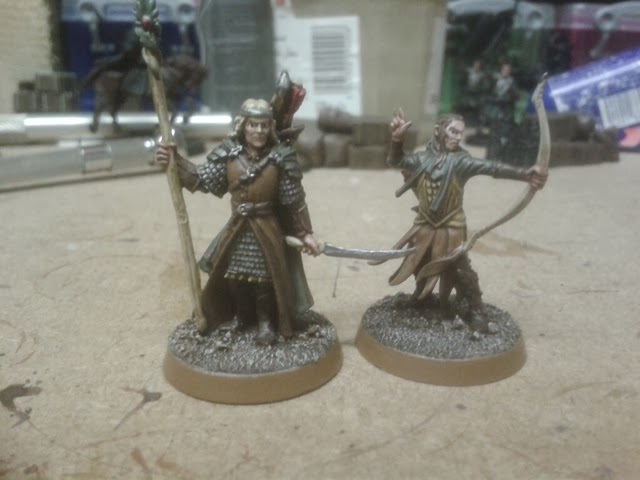 I've also managed to complete enough models to score points in the Backlog Reduction Oath on the One Ring. 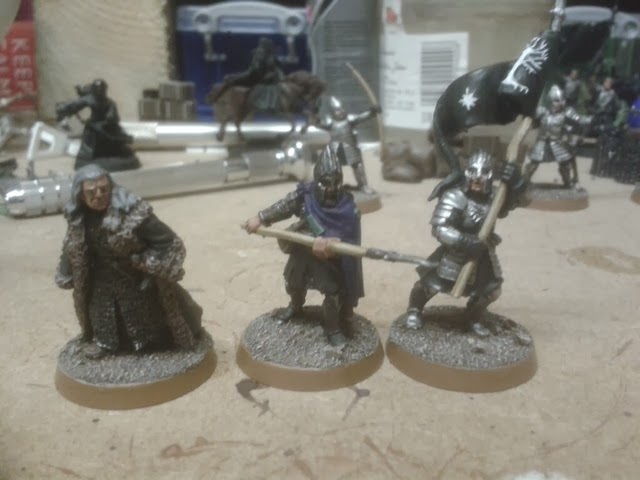 Rangers and Thranduil (Tauriel still to finish off). 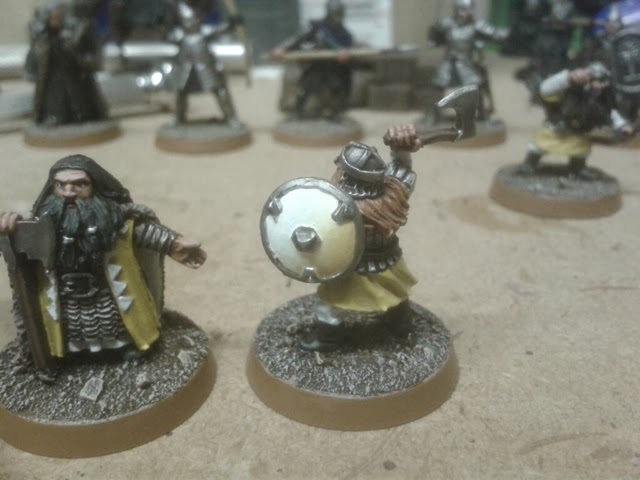 They've been a challenge to paint, despite being such great sculpts, but I'm pleased with them. The only one I don't like is the middle one in the second photo, the pose just doesn't work for me. 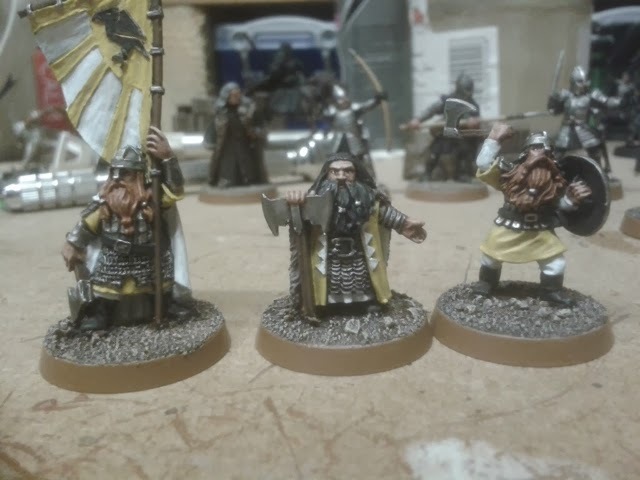 I will post a comparison shot with other wood elves for you to see the relative sizes at some point, although Thranduil gives some indication that they scale up well. 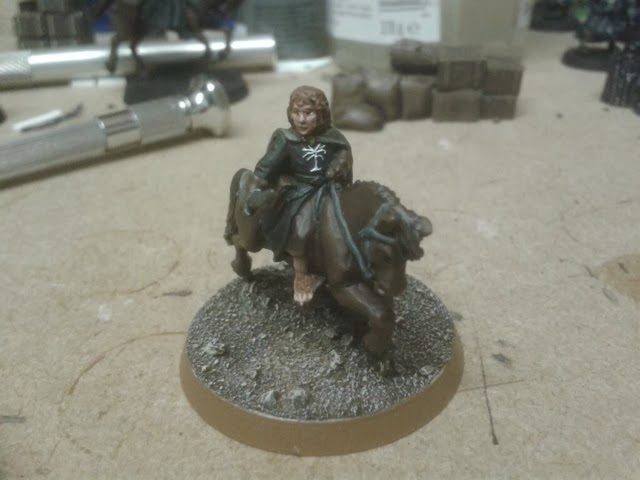 Next some more bits from Project Gondor. 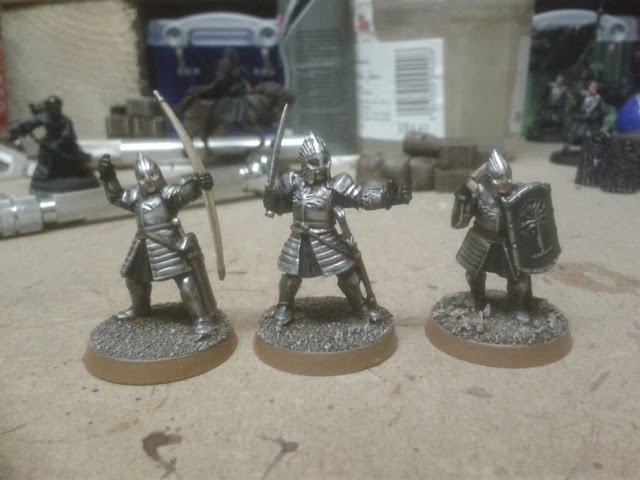 I've now only got to do a load of rangers, 4 Boromirs and the siege weapons. Nearly there! I'm gutted how flat Pippin looks after I spent hours highlighting his pony in particular! That's all for now. Happy gaming to you. They have all come out very well. 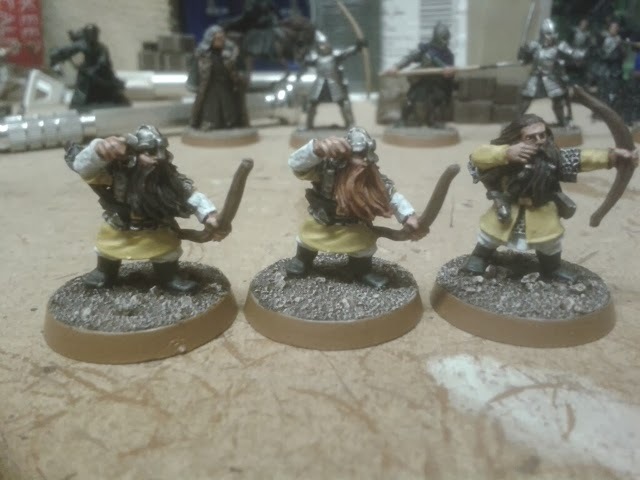 I like the dynamic woodelf poses. Thanks Scott. I'm looking forward to using them in a game.